Here's a 7 minute animated masterpiece (and movie poster) that I think you'll enjoy. This classic is one of Disney’s pseudo-educational cartoons focused on the fine art of angling (including fly fishing). 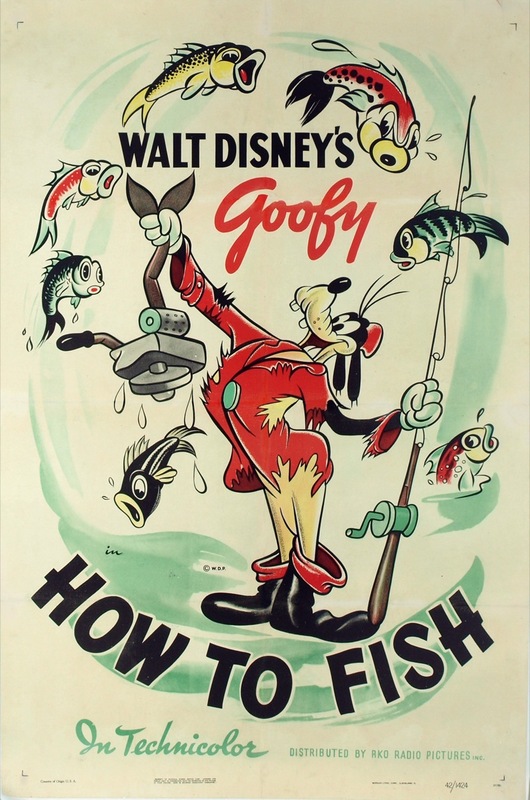 It's called HOW TO FISH starring Goofy and was produced by Jack Kinney. The linen-backed movie poster for HOW TO FISH is very rare and is valued at $6000 in fine condition.